In February 2017 we hosted a team from the Dakotas-Minnesota Conference. 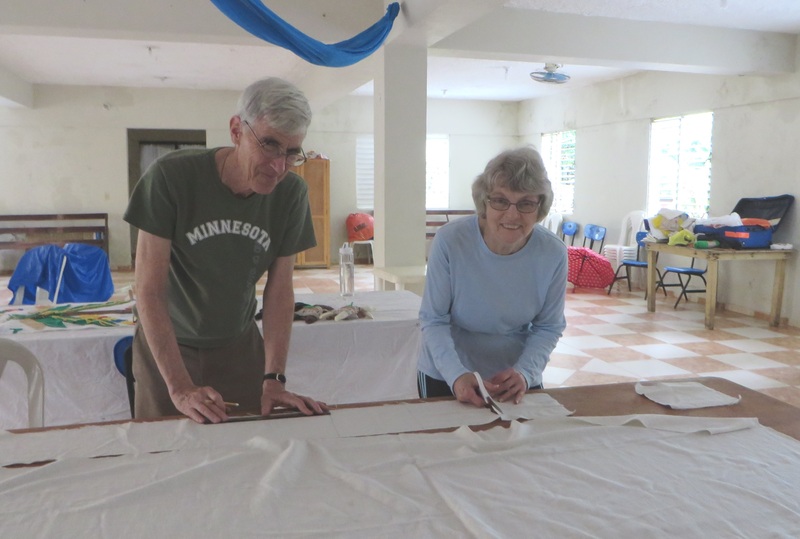 We traveled to the north coast of the island to the Samaná region. 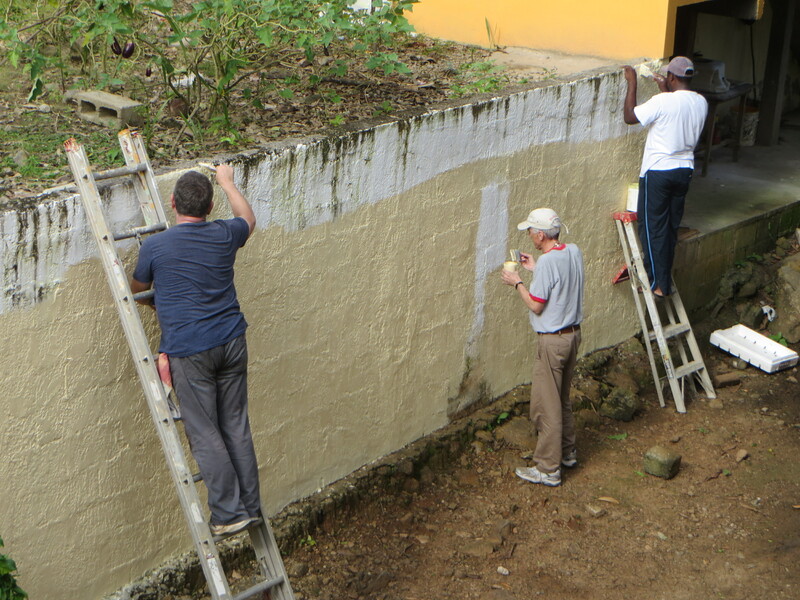 There we worked with Pastor Pedro at the Villa Clara Church where he serves. 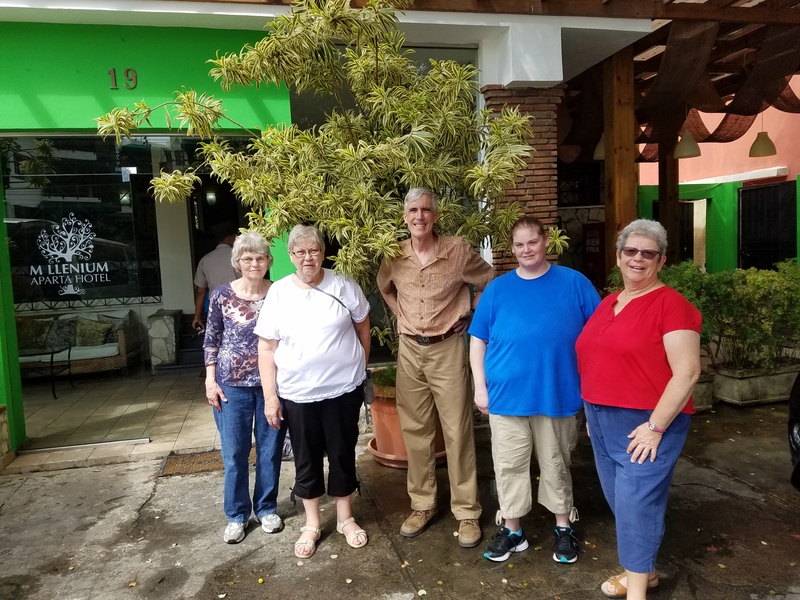 We painted, did various sewing projects, visited the local school, walked the community, visited two chapels with gifts of school supplies, helped with a new extension Bible school start-up, and survived an excursion to the El Limón waterfalls. When we take an excursion we seek an experience of the local culture. 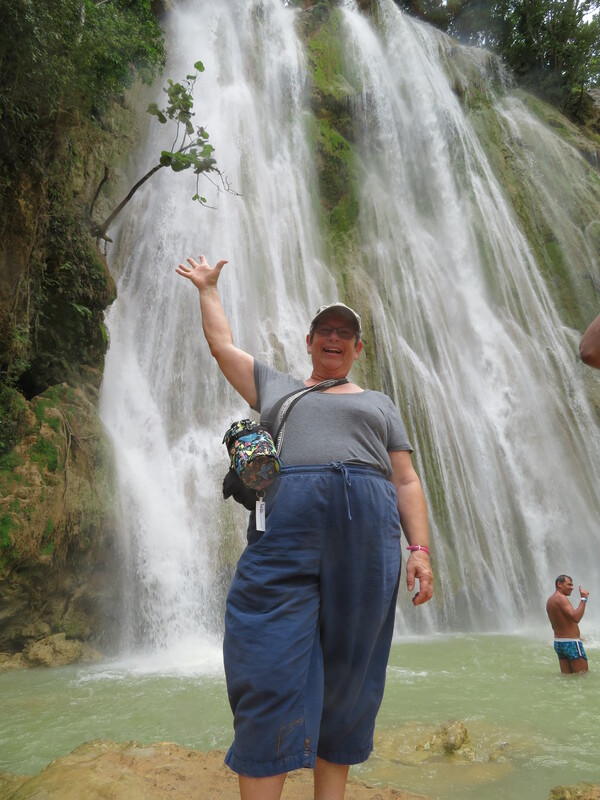 We knew a visit to the falls of El Limón involved a 45 minute horseback ride to get there. Sounds nice. It wasn’t. 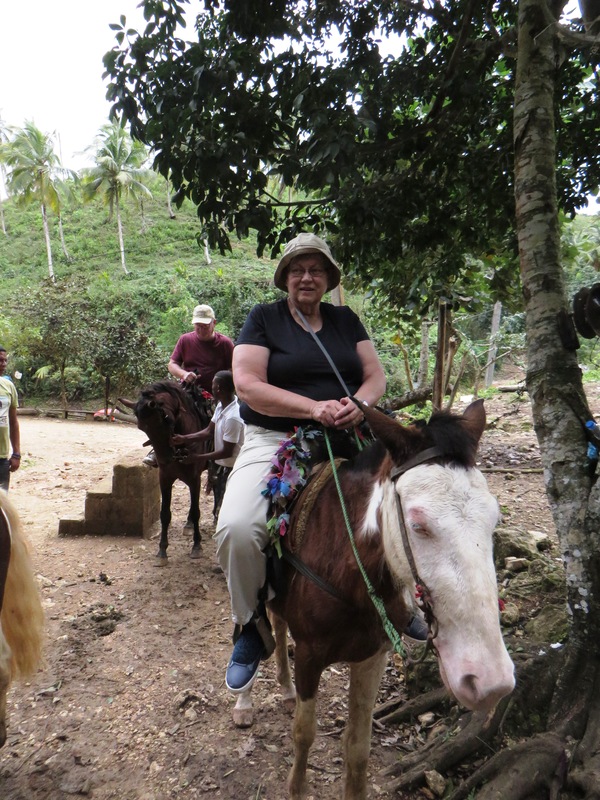 It was a harried adventure involving steep rocky muddy trails that only a horse or mule could navigate, followed by a half hour descent on foot down another steep muddy crude stairway to finally reach the falls. The beauty of the falls was tempered by thoughts of having to return the same way we came. By the grace of God and resilience of our team there were no injuries and we all escaped with only sore muscles and a good story to tell. 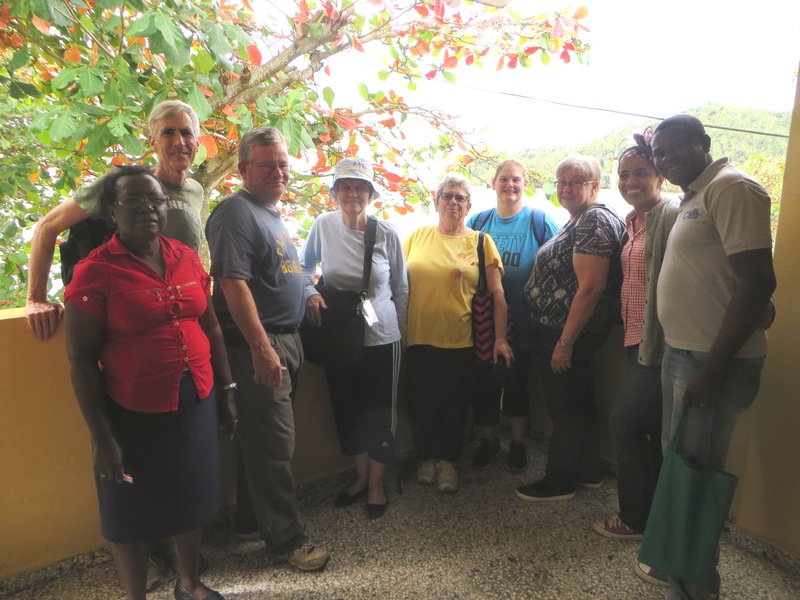 One afternoon we walked about a 1/2 mile to the home of a parishioner who is sponsor of a new class of extension Bible school. 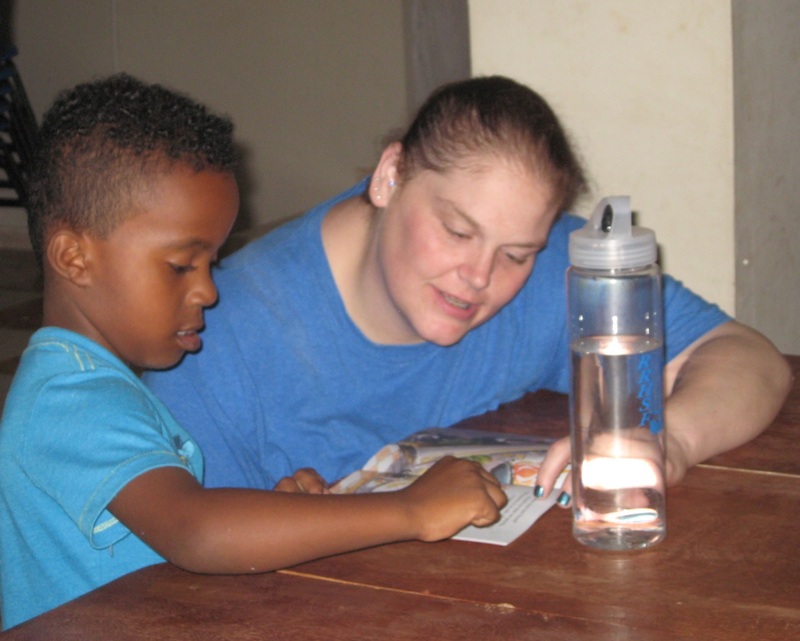 This class is designed for kids in poor communities who are not part of any church. About 20-30 kids showed up full of excitement. The outdoor space we had was limited but we somehow made it work. Together we sang, prayed, made name tags, played a jump rope game, and listened to a brief talk about God’s creation. 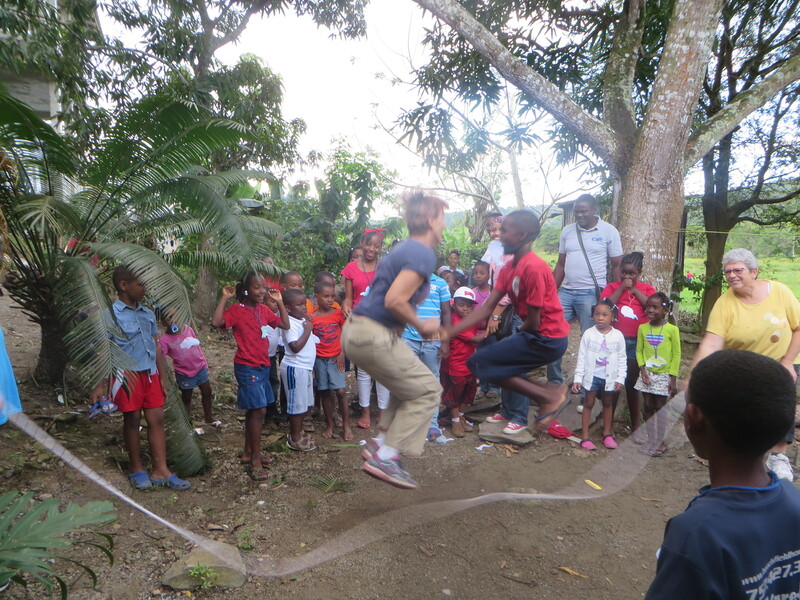 What was impressive was the children’s focus and attention to the program. What appeared a recipe for chaos was instead received with an ordered excitement. What a joy to witness these children fully enjoying their new Bible school class. Each face tells a story and reflects the glory of God. 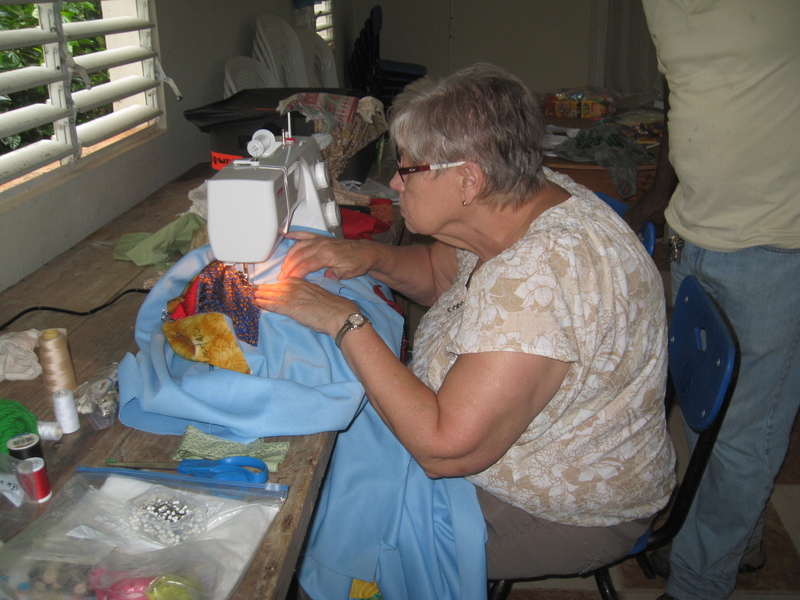 We would like to thank Carol K., Carol J., Wally, Jiggy, and Lois for sharing their time, resources, and love with all the Dominican people they encountered. We hope that they also received a full measure of love in return. You have new treasures in heaven. Well done friends .